Do you have the expertise or ability to teach one of our specialty activities at Camp Robin Hood? If so, please apply to work at one of our activities/sports. 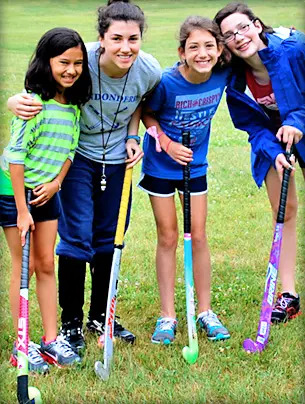 Specialty Counselors spend their days teaching one particular activity, allowing them to interact with campers of all ages from both Girls Camp and Boys Camp. While they work with the whole camp, Specialty Counselors live, eat, and bond with one particular age group. When their activity is not operating, all Specialty Counselors are expected to participate in activities with their respective groups. If you would prefer to spend your day with the same campers at a variety of different activities, then apply for one of our General Counselor positions. General Counselors spend the day taking their campers from activity to activity while assisting the specialty counselors by helping to manage their campers. General Counselors are in charge of the social dynamics of each group and making sure each and every child is engaged and thriving.